One of the developers behind this gorgeous title discusses future DLC, achievements and what he'd most like to fix. If you crave adventure and love attractive graphics, Air Mail comes highly recommended. Chillingo's newest game casts you as a young pilot, tasked with saving a community from danger by completing a variety of missions, from sabotaging the enemy to rescuing friends. And as an added bonus, it's one of the finest looking titles on the App Store, with detailed cities, a star-lit sky and crystal-clear water. That said, you can read our Air Mail review to find out more, but for now, check out this interview with Tyler Munden from N-fusion Interactive, the game's developer. So Air Mail is finally available on the App Store. What are you most proud of? I'm really pleased that the game went from concept to completion while staying true to its original vision. It started as a pet project, something I worked on at night or on weekends. When we brought it into the studio everyone "got it" and was really invested in the game. And everyone here contributed something special to the game. It's pretty rare to not have to make big compromises with your games in order to bring them to market. Air Mail is a passion project, and I hope everyone who plays the game can feel that. How many people developed this title, and how long did it take to finish? Air Mail started out as a one man project, and stayed that way for a while. Then we brought on more people as the project grew and special talents were required. So the team ranged from one person at the smallest to about seven or eight at its largest. The initial prototype was created a little over a year ago. The graphics are by far one of the game's best features. Where do the visuals rank amongst the best the iPhone and iPad have to offer? There's a huge range of experiences available on iPhone and iPad, so it's difficult for me to compare visuals directly. 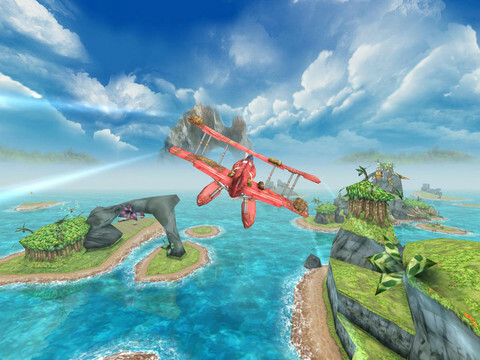 Air Mail is a big 3D game with lots of vibrant colors. We weren't going for gritty realism, but we did push the graphics as far as the hardware would go while maintaining the gameplay performance we wanted. 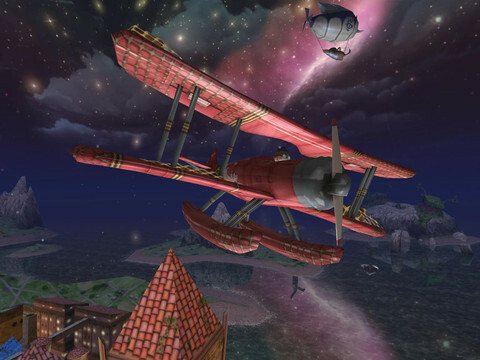 So I hope people recognize Air Mail as a major achievement in graphical quality as well as composition and style. There's a conspicuous lack of multiplayer in this game. Did you consider including it, and if so, why didn't it make the cut? Air Mail started out as a pretty small game and we kept expanding it. We've drawn up designs for several multiplayer modes, but as a developer, you have to be responsible and make hard decisions on what you can and cannot achieve on time and on budget. We wanted to make the single-player as fantastic as we could, and stretching our resources to include real-time multiplayer would have resulted in a less satisfying single player experience. That said, we did include Express Delivery mode, which provides a competitive online experience using time trial missions and leaderboard scoring. So you can still whip your friends by topping their scores. While on the subject of things the game's missing, it seems air combat would introduce an intriguing dynamic to the gameplay. Was this nixed from the beginning, and might we see it in future DLC? Ah, this question comes up a lot. One reason we didn't include any direct combat (shooting guns) was that it just didn't feel right for the game. It really broke the vibe that we were trying to create. In Air Mail, you play as a kid, but you still have to deal with serious situations like war. But we wanted to show that you can overcome obstacles by being clever and diligent. So during the war missions, you are tasked with putting out fires with a bucket attached to your plane, scooping bombs off the decks of enemy bombers to disarm them and arming your allies with ammunition so they can defend themselves, all while being shot at. Also, I've seen a few other air combat games that fell short. We didn't want to tread that same territory. We wanted to do something more unique. That said, what are the DLC plans, if any? Will there be new environments and missions in the future? What about a wider variety of planes to fly? We plan to continue updating the Express Delivery mode with new missions. 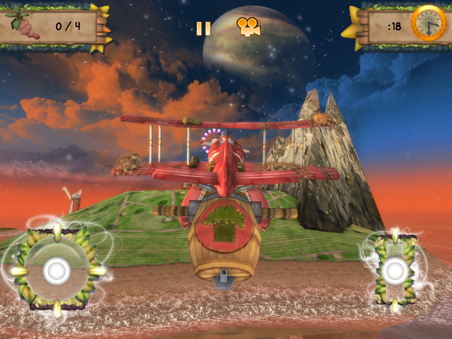 The game currently has four express missions, and only uses two of the available environments. So there's a lot of room to grow the experience. And going back to your point about air combat, when we developed the fireworks launching mechanic, we thought it was a unique approach to air combat, so there's definitely a chance you will see this concept adapted for an upcoming Express Delivery mission (DLC). How does Chillingo factor into the development process? Where does the company lend its publishing expertise? We brought the game to Chillingo because of its experience in the mobile world. They've been a strong partner and helped us bring Air Mail to market in its current form. They looked at builds of the game early on and had a lot of useful comments and suggestions. And they've helped us a lot near the end, meeting all the technical requirements and getting the game approved and spreading the message, letting people know what the game is about. If you could improve something about the game, what would it be? As much as I love the totally free-roaming experience of Air Mail, I think it could have used a few more scripted experiences, like The Cave of Dreams mission. That mission stands out because it's so different from the others, and being linear doesn't really hurt it. So as we develop plans for the future of Air Mail, that's something I'm going to keep in mind.